JBC Modular stations combine stackable modules to get your complete personalized configuration. 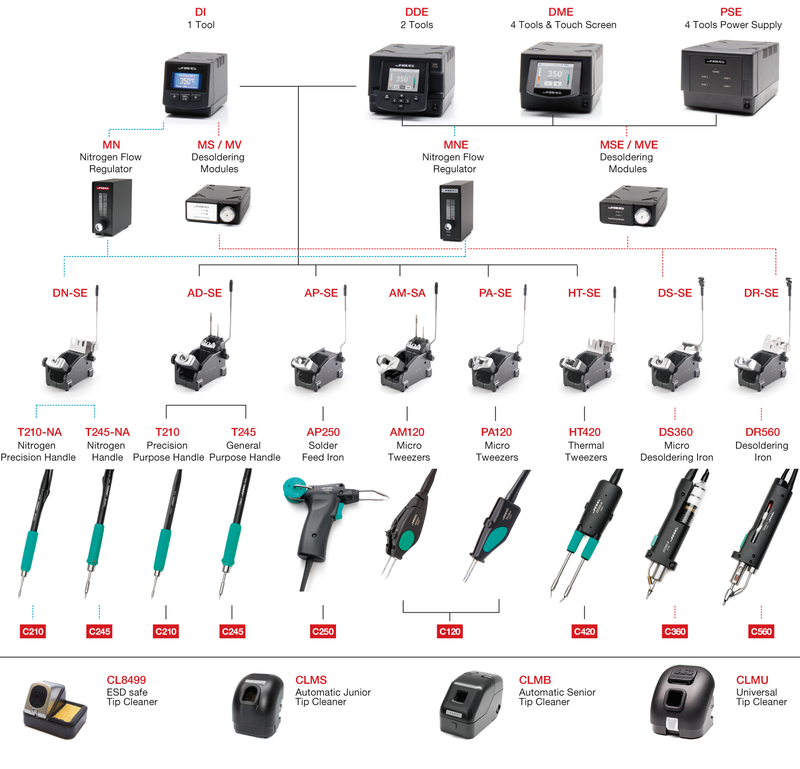 Choose different Control Units according to the number of tools you need. Every Control Unit is compatible with the most JBC tools. All the units incorporate JBC’s exclusive heating system that increases work efficiency thanks to its quick temperature recovery. For a basic working system, you need: 1 control unit, 1 stand, 1 tool, 1 cartridge.